Welcome to episode eleven of our kidlitwomen* podcast! Every week this podcast will feature an essay about an issue in the children's literature community (Monday) and a discussion about the essay (Wednesday). In this episode, Megan Dowd Lambert discusses her essay "Of Kitchen Tables, Stovetops, and Scales: The Stories We Tell Ourselves about Our Writing Lives" (which can be heard HERE) with Grace Lin. We hear more about Megan's idea of rewriting the story of the work-life balance. Megan Dowd Lambert grew up in Vermont and earned her BA at Smith College, where she majored in African-American Studies and Government. She earned her MA in Children’s Literature at Simmons College, where she is now a Senior Lecturer in Children’s Literature. She is the author of Reading Picture Books with Children: How to Shake Up Storytime and Get Kids Talking About What They See (Charlesbridge 2015), which introduces the Whole Book Approach to storytime that she developed in association with the Eric Carle Museum of Picture Book Art. In 2009 she was named a Literacy Champion by Mass Literacy, and she has served on the 2009 Geisel, 2011 Caldecott, and the 2012 Boston Globe-Horn Book Award Committees. Megan won a 2016 Ezra Jack Keats New Writer Honor for her first picture book, A Crow of His Own, illustrated by David Hyde Costello (Charlesbridge 2015). Her second picture book, Real Sisters Pretend, illustrated by Nicole Tadgell (Tilbury House) was published in 2016. Charlesbridge will publish A Kid of Their Own, a sequel to A Crow of His Own, in 2019. Her new beginning reader series about two girls who are best friends will debut with Charlesbridge in 2019 with the title Jane and June Are Friends.Megan reviews and writes for Kirkus Reviews and The Horn Book and is a Staff Blogger for Embrace Race: A Community about Race and Kids. She lives with her family, including seven children ages 0-21, in western Massachusetts. Grace Lin, a NY Times bestselling author/ illustrator, won the Newbery Honor for Where the Mountain Meets the Moon and the Theodor Geisel Honor for Ling and Ting: Not Exactly the Same. Her most recent novel When the Sea Turned to Silver was a National Book Award Finalist. Grace is an occasional commentator for New England Public Radio and video essayist for PBS NewsHour, as well as the speaker of the popular TEDx talk, The Windows and Mirrors of Your Child’s Bookshelf. 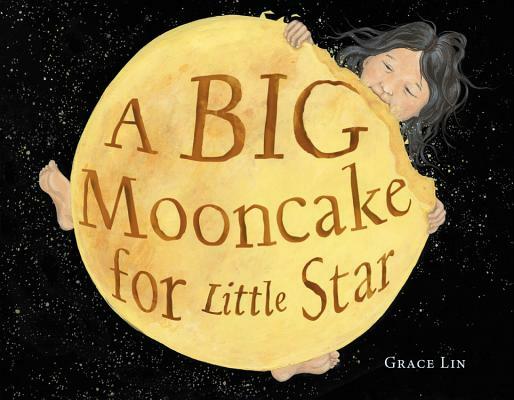 Grace's new picture book, A Big Mooncake for Little Star comes out in at the end of August 2018. Grace: Hello, this is Grace Lin and I'm here talking with Megan Dowd Lambert about her essay of Kitchen Tables, Stovetops, and Scales: The Stories We Tell Ourselves About Our Writing Lives. Hi Megan. Grace: Well, thank you so much for talking to me today, because I thought your essay was very, very poignant to me and to, I'm sure, many of our readers, 'cause I know so many of us struggle with this kind of idea of work-life balance. Before we start talking about your essay, why don't you tell us a little bit about all the things that you have to balance in your life, because I know you have quite a bit on your stovetop. Megan: Oh yeah. I am a mom, I have seven kids. My youngest is seven months old, my oldest is 21 years old. And then in addition to parenting, I am a senior lecturer in children's literature at Simmons College and I'm also a writer and a reviewer. Grace: Okay, so that's a lot. Grace: I would have stopped at the seven kids. But that's amazing that you are a ... I only have one child and I find [a chore 00:01:13] to fit everything in, very, very difficult. The fact that you're able to get so much accomplished just shows how well the story you tell yourself works. Tell us a little bit about your essay. Megan: My essay was born of this kind of contentious feeling that I have about the phrase work-life balance. Because I feel like when I imagine my life as a two sided scale with work on one side and life on the other, life is kind of a catch all for everything else, I feel like I always will fail, that I will never achieve balance, that there's not enough of me to go around. I decided I didn't like that phrase, I didn't like the story it told me, the story of failure and never measuring up and so I started thinking about other ways to think of trying to make adjustments in my life and trying to take inspiration from other people who are also juggling a lot of different roles. Grace: So the one thing that you talk about in your essay is the burners and stove tops, something about when you ... About David Sedaris, why don't you tell us a little bit about that? Megan: Oh sure. I had read this essay by David Sedaris a number of years ago and I remember reading it and thinking, "Oh I love thinking of life this way, of a stove top with a lot of different burners that you turn up or turn down depending on the demands or the opportunities that you have in your life." That's kind of the new metaphor that I've started thinking about my life in terms of as I think about being a mom and being a writer, and trying to find time to give as much of myself as I can to these different areas without literally burning out. Yeah, so I think of the four burners, or this is the metaphor that he draws on in his essay that I've adopted, I think of the four burners as family, work, health and friendship. I admit in the essay that taking care of my own health and nurturing friendships are two burners that I have on low at this stage in my life, but I like thinking of them, those burners as they're in present and I can turn them up when I really need to or when I have more opportunity to, so that I'm not just kind of wrapped up only in work or only in family. It's a multi-faceted life. Grace: What I like about how you have viewed this burner metaphor is that you have all four burners going and you just keep making these adjustments. The way David Sedaris talked about it in your essay was how he had to cut actually two of the burners off of his stove completely, which I think is how a lot of us struggle with, the idea that we have to separate things or cut things out to accomplish things. It's kinda like the idea that Malcolm Gladwell outliers where you have to focus on one thing so much and so many hours and then you have to ignore other parts of your life to become great. But you actually have a completely different attitude and you actually say in your essay that you would not be the writer you are today without this life of yours. How has your writing life flourished because of this life? Megan: Yeah, I think of this stove top metaphor and then also the other one that I write about in the essay, the idea of the kitchen table that I borrow from Lucille Clifton's life. I think of it as a means of being gentle with myself, of saying, "I'm not always going to give writing my all, I'm not always going to give parenting my all or friendships or even taking care of myself." And that's okay, that I can just kind of adjust things as I seem fit or as I'm able to and I can also turn to other cooks in my kitchen, whether it's my ex who's my co-parent or my husband who's my co-parent or colleagues. Because when I think about this life that I'm reading and how busy it is, it is true that I wouldn't be the mother I am without being the writer, the creative person I am, I wouldn't be the writer I am without being the mother I am. It's because when I think about, for example, different writing projects that I'm pursuing right now, part of it pursuing my own passion, but part of it is also thinking, "Well what would my kids enjoy? What's the story I wanna tell my kids?" Sometimes that's quite literal. If I write a story one day or I'm trying to work out a story, I might read it aloud with one of my kids and see what they think. And they're very honest critics. They will tell me like, "Well that's kind of boring", or, "That doesn't work. Maybe you should do this different or that different." It's a way of realizing that I can't just compartmentalize my life, I have to see where I can find connections between the different parts. Grace: Well I really love that, because it's really living a congruent life, a life where everything is kind of together and it's actually in some way is living a truer life, which is really neat. Megan: Yeah, and I mean, I don't mean to come off as like, "I have this all figured out and every day is this wonderful moment of sitting around the table and reading my work aloud to my children." That is not how life goes. But I guess that's the story I tell myself like, that's what I want, that's what I'm aiming for, is this kind of interconnectedness between the different parts of my life. And do I always achieve that? No, but I feel like that's something I can aspire to and that feels more comfortable than this idea of, "Okay, I do all my work, I turn off my work brain. I parent my children, I turn off my work brain or my parent brain or whatever." You see, I can't even say it right. I can't just turn off parts of my life, I have to find ways that they can nurture each other. Otherwise, I end up feeling defeated and like I can't measure up to my boss's expectations, to my children's expectations, to my own expectations for my creative life. Grace: Yeah, and I think that's a challenge that so many of us face. So can you tell us a little bit about your typical day? How you kind of structure your day? I'm very interested in that to get tips and things like that. Megan: Oh sure. I think the only thing that's typical about any day in my life is that my husband and I start the day off together kind of checking in on what needs to happen in that given day. He pretty much always makes breakfast and coffee and we're up with our little guys who are seven months old and three months old. The other kids are off at school or maybe they're at my ex's house. But anyway, we start the day off together and that checking in moment or time with him is so important to me, because it really gets my head on my shoulders for what I can achieve in my work or what I need to take over with on the home front so that he can do what he needs to do. He's a graduate student right now. That is crucial to me. And then beyond that it's really what have we decided together is going to happen in the day. So today I knew I was recording this with you and I said, "I need quiet in the house," and so he took the two boys out and they're out and they're at the gym. Then when he comes back I said, "I really still need more writing time," so he's on with them, and that's how we work things out. It's a lot of adjustment between us about what's going on and it's working right now. Grace: That's great. That's really awesome. When you wrote this essay, was there anything that you hesitated to mention or put in your essay or was there anything that you were worried somebody or a reader would misunderstand? Megan: I guess when I look back on it, it's not so much that I hesitated, it's more I look back and I say, "You know, I didn't give enough credit to my husband and to my ex-wife and her partner and the ways that they helped me parent my children and that the way I helped them." It really isn't just me going at it against the world with my little stove top, that I have co-parents in my life and then I look at my extended network of support, friends and family. There's no way I could lead the busy, hectic life that I do without them. Or I think of my colleagues as [inaudible 00:09:50] and the way that I've been able to structure my teaching schedule so that I can consolidate teaching to two days a week and have more flexibility the rest of the week. I'm very, very fortunate that I'm in this position. I worked hard for it and I also had a lot of advantages coming into this field, but I guess that's in retrospect. It wasn't a hesitation, but looking back I wished that I had said more about that. Grace: So what's the one thing you want readers to take away from your essay? Megan: Oh the one thing is absolutely to be gentle with yourself. I think we can be so hard on ourselves, especially we mothers about not measuring up at work, with our families. My husband will sometimes say, he goes out with the boys and everyone's showering all of these accolades on him what a good daddy he is being at music class or whatever. And he is, he's an excellent daddy. But we all know if I went out with my boys, no one would be saying, "Oh what an excellent mother you are bringing your kid to music class." And so I think there is a gendered expectation that moms just have to do it all and that can be tough. I think we have to be gentle with ourselves about what we're trying to balance and what we're trying to do. Grace: Yeah. And I love ... I think that is so important and I love also the idea that it's the story that you tell yourself to. Your whole idea of life you lead is kind of like the story that you tell, so that's really great. I don't wanna take any more of your time up, especiallY because even though the listeners are only hearing this for the first time, but we know that we've done this twice. We had [crosstalk 00:11:44] technical difficulties. I'd like to end our interview with the two question. First, I want to know what are you working on now, or is there something that you've recently published that you'd like to tell our listeners about? Megan: Well I have a picture book and a beginning reader series coming out next year with Charlesbridge, which I'm really excited about. But the thing I'm working on right now is not under contract, it's a middle grade novel and it's my first attempt at a middle grade novel and I'm just loving writing it and it's drawing on my family history, so that makes it even more special. Grace: That's great. Why don't you tell us the title of the books that are coming out next year, because some people listening to this might listen to this, who knows,five years from now. Megan: Yeah. One is called A Kid of Their Own and it's a sequel to my first picture book A Crow of Their Own, it's coming out from Charlesbridge. Then my beginning reader series is about two girls who are best friends, named Jain and June, and that'll debut next year. Grace: Oh, cool, which will be 2019. Just in case. Megan: Yes, [the date 00:12:46]. Grace: Just in case somebody's listening to this in 2025 or something like that. Grace: All right. My last question for you is the question that I'm asking everybody, is what is your biggest publishing dream? Just to remind everyone that I ask this question not for the guest to answer, "I just want somebody to love my story, I just wanna make a living out my books." No, we want out guest to dream huge, big, the dream that you are almost too embarrassed to say aloud. What is your biggest publishing dream Megan? Megan: My biggest publishing dream, I would have to say is to have my own imprint, so that I could publish and help bring out into the world stories from lots and lots of different writers. Particularly stories that depict families and all their diversity, because that's something that's near and dear to my heart in thinking about my own writing. But I know my story is just one of many, many, many out there to be told. Grace: I love that. I love that so much. That is something that I've actually run across of. Not for me personally, it's not my own personal dream, but I've been wanted somebody else, a woman in particular, to want that so badly. Because there have been many, a couple of author imprints coming up, like Kwame Alexander, but they've all been male, so I would love someday to have a woman author have their own imprint, and I hope it's you. Megan: Thank you. I'll call it the stove top or something like that. Grace: Oh that would be awesome. Well thank you so much Megan, it was so great talking to you again. Megan: Thank you, good to talk to you too.